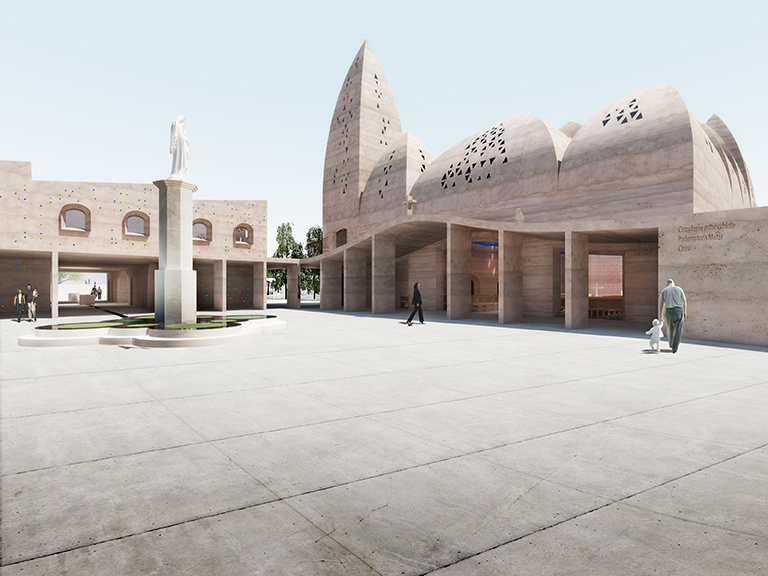 The project for the new Redemptoris Mater parish complex of Cinisi (PA) was conceived as a little campus of religious faith. 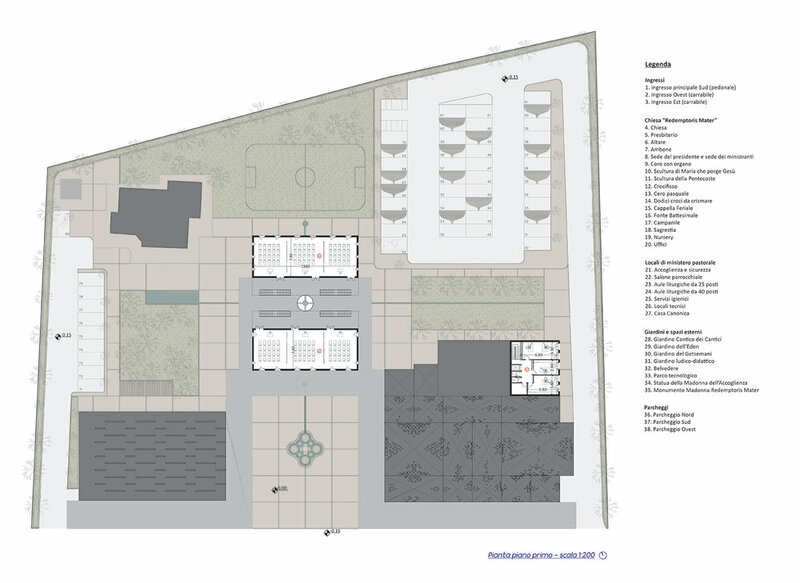 It is a singular entity of comfortably inhabitable spaces intimately related to each other. 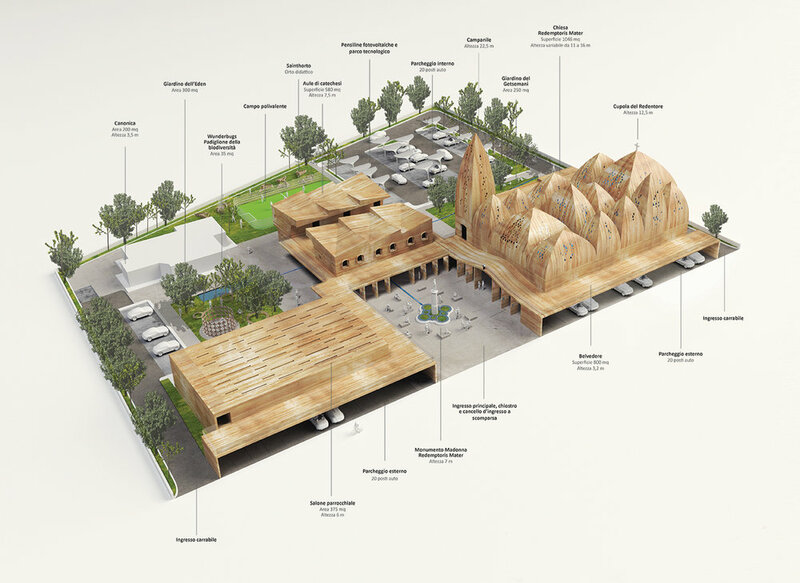 The strong spiritual impact of the complex arises from its dialog with its historical, artistic, and social context, and from the holistic deployment of architecture with fundamental building practices for people of today - as it does in the synergy between music and biology, between agriculture and sociology, and between psychology and religion. 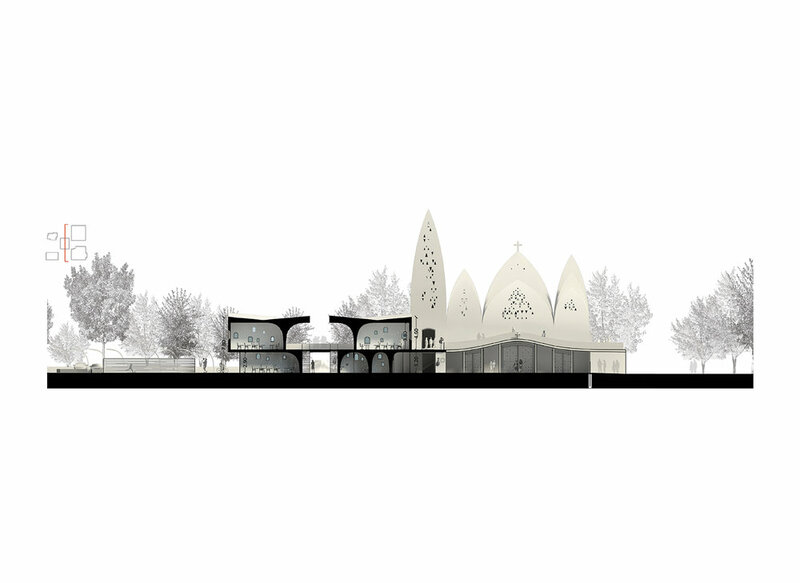 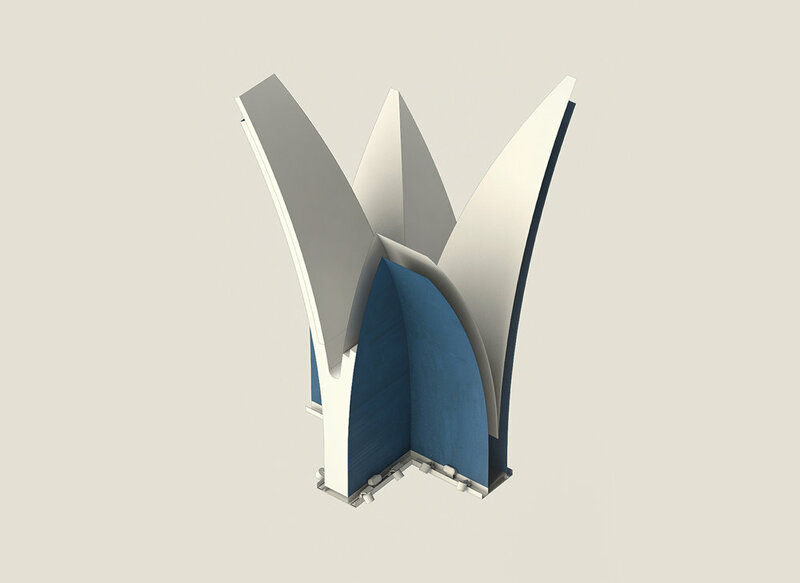 The result is a parish complex that stirs the emotions in order to regenerate the spirit of the faithful, citizens of the community-at-large, and visiting guests thanks to the dynamic spaces of varying vertical relationships, organized “symphonically” to assemble a self-sufficient village, experienced daily by today’s community, steadfast and extroverted, looking to the future with the certainty of God.